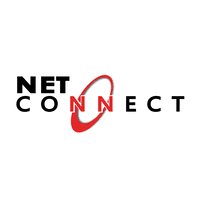 Net Connect was incorporated in the year 1997 in Bangalore. Since then, Net Connect has grown over the years, catering to over 100 businesses across the sub-continent. Net Connect with its Software Development practice provides Offshore Software Development Services & Solutions with their vast experience in delivering excellent and cost effective solution to the clients across the globe. One of their core capabilities is creating user- friendly analytical models to help our clients develop and implement strategic initiatives. - Knowledgeable to ask questions to determine nature of problem and log tickets in tool. - Is a direct contact point for customers and onsite field personnel. Accuracy in entitling customers and routing to the correct team for service or dispatch is critical to meeting service level agreements. - May be the only contact a customer has within the company and acts as a customer service ambassador and ensures a positive customer experience. - Working from a standard protocol and utilizing documented processes to respond to customer issues. Some judgment may be used to supplement the outlined process. - Successfully resolve simple to moderate technical issues (related to hardware and software) from incoming customer contacts and proactive notification systems. - Respond to service, product, technical, and customer-relations questions on subjects such as features, specifications, and repairs on current and discontinued products, parts, and options, based on customer entitlement (for example more complex warranty). - Begin to proactively assist customers to avoid or reduce problem occurrence. - Working knowledge of fundamental operations of Desktop/laptop, windows/linux operating system, basic understanding of network and software. - Is responsible to log and dispatch cases, provide status updates and route cases appropriately to the right queue as per the defined SLA. - Handling of customer escalations and interacting with level 1 & level 2 teams, trade teams & partners using standard or customized processes, region resource control teams, onsite engineers, partners and logistics teams. - Escalation management for customers who log cases only through access teams wherever applicable.